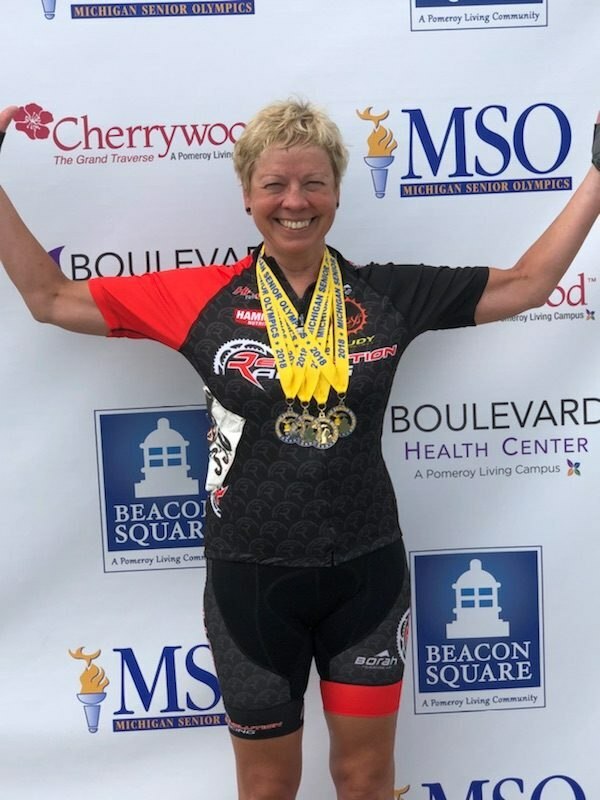 My ROCK STAR from Michigan, Kathryn Laethem, tore up the Michigan Senior games by taking 2 GOLDS and 2 SILVERS, in both the road races and TT’s. Kathryn just got a new TT bike. We decided NOT to use it due to the twisty-turny nature of the TT course. I think we made the right call! Now, we start looking at Senior Nationals in 2019!